OK, so it is fair to say that all the playing and jumping around can leave some of our guests a little ‘dishevelled’ by the time they come to the end of their stay. So why not take advantage of our Wash & Dry service? 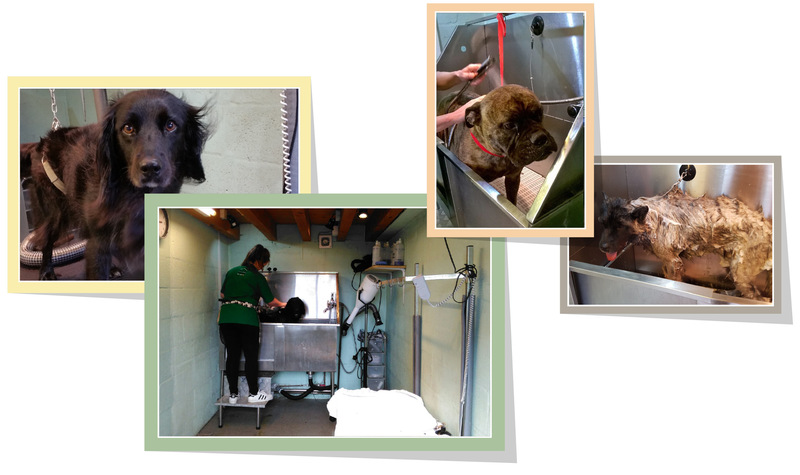 Each treatment lasts about 1hr and includes 2 lathers of shampoo which is designed to give a deep clean (we also have hypoallergenic for our more sensitive guests) followed by a conditioning treatment and then finished with a blow dry and a squirt of doggy cologne. You may book this treatment when you make their booking to stay with us or alternatively when you check them in. Be warned though, this service is very popular and places fill up fast.